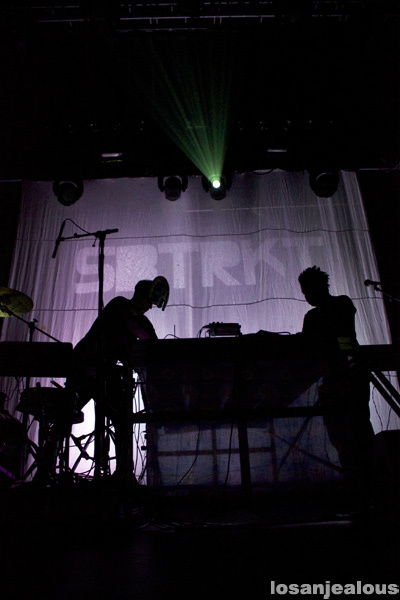 Why do so many electronic music acts lately like to hide behind masks and be silhouetted on stage with no direct spotlights? 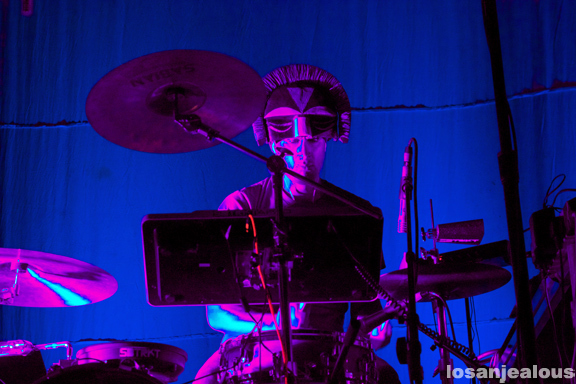 On Sunday, October 14, at Club Nokia, I saw behind SBTRKT’s signature African-style mask and he’s a perfectly attractive bloke–and a talented, innovative DJ/producer/drummer to boot. 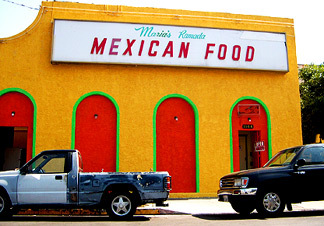 Why hide? 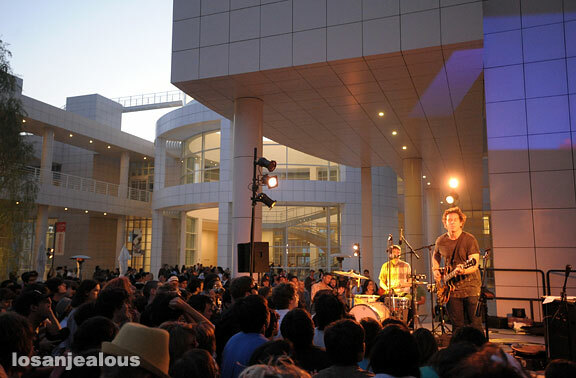 I suppose that by taking appearance out of the equation, then the music is the centerpiece as it should be. 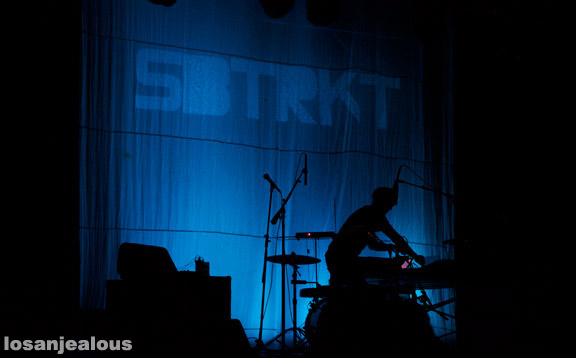 SBTRKT and accompanying vocalist Sampha held the attention of the audience fully as they performed as darkened figures, in front of a giant backdrop lit with blue hues and the word SBTRKT. 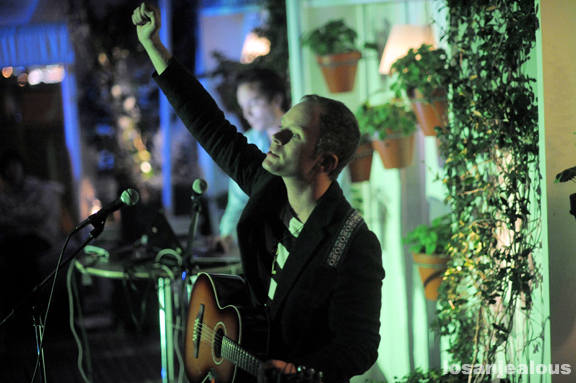 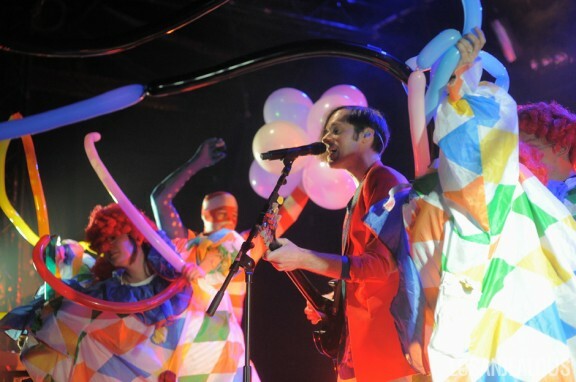 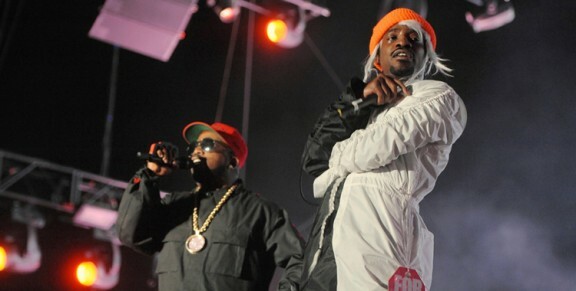 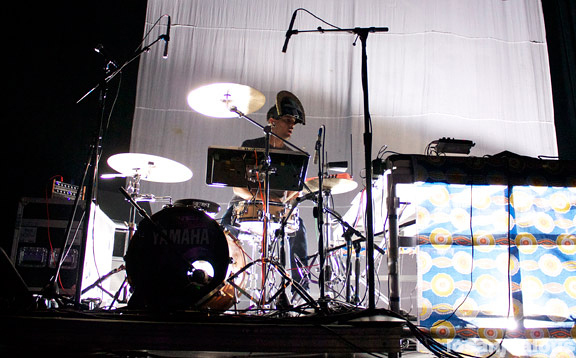 The pair charged through the percussive, soulful material from their debut self-titled album, performing organically and electronically all at once. 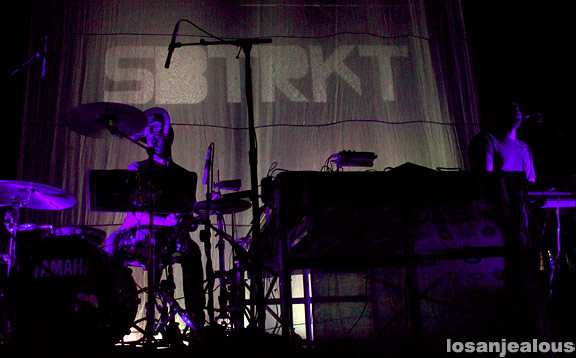 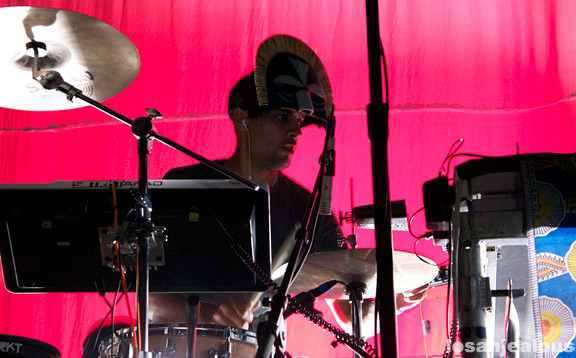 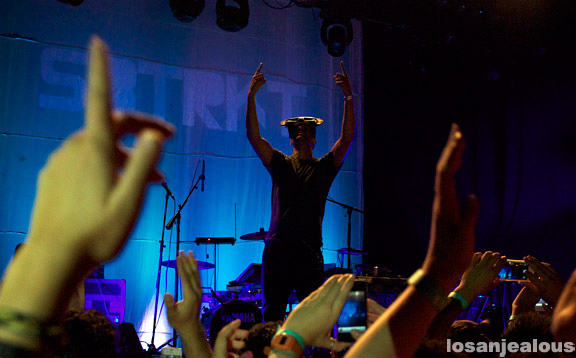 SBTRKT bashed through the tracks on both digital and traditional drums, so precise and energetic and dialed. 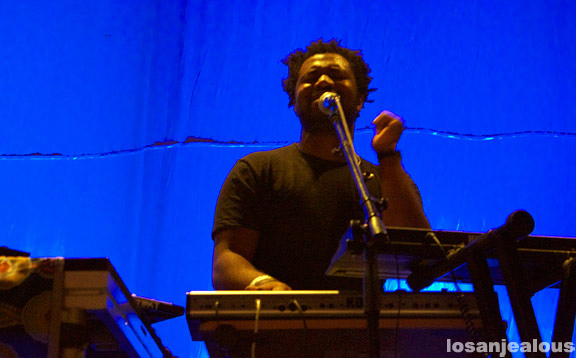 Sampha sang in his deep-house-neo-soul vocal style on most of the tracks, and tinkered with digital effects throughout the set. 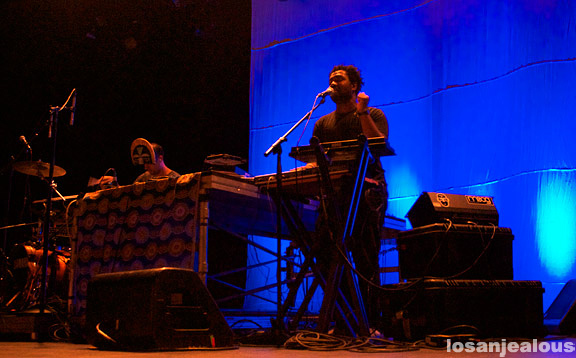 When they performed their single “Wildfire,” they let the vocal track from Little Dragon’s Yukimi Nagano play, but Sampha jumped around in front of the crowd and then hurried back behind his station to manipulate the samples, making it more interesting than just a recorded vocal.